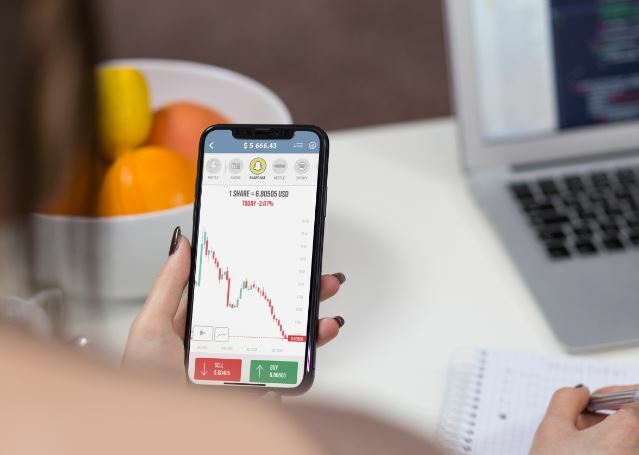 Founded in 2017, Trading Game is a mobile application ( iOS , Android ) that uses gamification to make the financial markets more accessible to users worldwide. Currently, our 1,642,810 users have the opportunity to trade in forex, stocks, crypto in a real-time trading simulator. Users will not only enjoy the experience of trading in a real market but also constantly learn new aspects of the financial markets. Our company always thinks one step ahead and believes that your time is precious. That is why we do our best to provide users with the most unique and enjoyable experience as possible so that every second spent with the Trading Game app is a second well spent. We make learning so easy, fun and interesting. Think of the teachers that you had in high school: who is the one that got you the most? Usually, it’s the one that was able to teach serious things in a funny way. And that’s our approach to the complex world of finance: it just gets into your head easier if you spice it up with a bit of fun. We have a young and experienced team of 6. We are open to new ideas, new challenges and put out the best we can offer always! We are based in London. But our team (translators, designers) are international. We have reached 1,642,810 downloads on Android and iOS. We want to attract everyone, who has an interest in finance. We have something for everybody. There are popular stocks like Apple, Disney, Nike, Netflix, Amazon, Facebook, Spotify etc, widely used currency pairs – EUR/USD, USD/JPY, GBP/USD, commodities like gold, copper, gas and platinum etc and of course cryptocurrencies. Also due to the rising popularity of cannabis stocks, we have included in the new update we 3 of them – Tilray, CGC and Cronos. In our opinion adding value is a key concept in business. Also in growing your business, it’s very important to learn, test and improve. We took interest to Forex trading sometime in 2016 and we had been looking for an app which allows us to trade on the financial market without the risk of losing real cash because as students – we actually didn’t have extra cash for trading, moreover, we didn’t have any trading experience. So, from there we created the Trading Game. Janis and Rinalds (the developers of the app) worked on the technical side of things and then after putting an ad in the university notice board, two interns (Laura and Rolands) joined the team. Shortly after we released the first version of the app, Laura and Rolands loved the product so much that they stayed even after their internship was up. A little while after Kristaps and Louise joined the team and right now we are a team of six. When we got together in 2016, almost all of us were students. Janis the main developer, Rinalds and Rolands studied IT – they work on visuals and developing the app. Laura just finished her PR degree and is working on the marketing side of things. Kristaps has a degree in Mechatronic Engineering but didn’t fall in love with it so now he is doing videography. Louise studied Broadcast Journalism and is still in university finishing her BA in Modern Languages and Business Studies. Louise and Kristaps are working together, creating video content. Our team is brainstorming on new ideas daily on how improve on our apps. That’s why we are working on the Trading simulator for Trading Game WEB (the same as in app, but now we want to offer users to also trade in web version). In this way we will cover all the platforms – android, ios and also web. As for future goals we want to build best platform for beginner traders and currently we are focusing on increasing our community and improving user experience! We have less focus is on profit and some of the team members are already dreaming about AI trading. By using the data we are gather on trading habits, we can create an ai meant for trading. It could possibly as easy as asking Alexa or Siri to invest and our ai will diversify your portfolio and make profits for you. We are a big Apple fan. We already got everything we need to succeed!